Σήμερα η Audi ξεκίνησε τη κατασκευή του Α3 Sedan στο εργοστάσιο της στο Györ της Ουγγαρίας. Το παρόν έδωσε ο CEO του VW Group, Dr. Martin Winterkorn, ο CEO της Audi, Rupert Stadler, αλλά και ο πρωθυπουργός της Ουγγαρίας Viktor Orbán. Η Audi επένδυσε 900 εκατ. ευρώ στο εργοστάσιο ώστε αυτό να μεγαλώσει και να μπορεί να φιλοξενήσει τη κατασκευή των A3 Sedan και S3 Sedan, με την Γερμανική εταιρία να έχει ως στόχο να κατασκευάζει 125.000 αυτοκίνητα ετησίως. Το εργοστάσιο της Audi στην Ουγγαρία γιορτάζει φέτος τα 20στα του γενέθλια. Εκεί εκτός από το A3 Sedan κατασκευάζονται ή κατασκευαζόταν τα Audi TT Coupe και TT Roadster, το Audi A3 Cabriolet και το RS3 Sportback. AUDI HUNGARIA MOTOR Kft. is starting a new chapter in its 20-year history this Wednesday. The CEO of the Volkswagen Group, Prof. Dr. Martin Winterkorn, and the CEO of the Audi Group, Rupert Stadler, have given the official starting signal for series production of the Audi A3 Sedan together with Hungary’s Prime Minister Viktor Orbán. 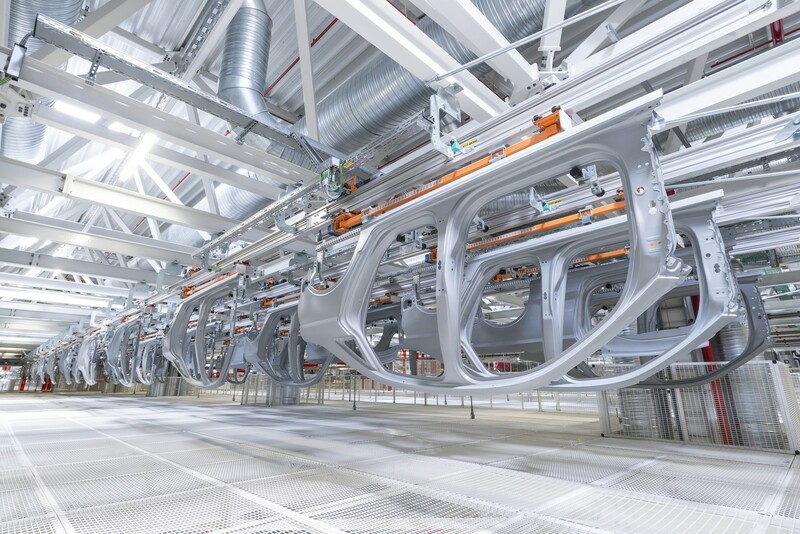 Within two years, Audi constructed a complete production plant complete with press shop, body shop, paint shop and assembly lines, covering floor space of more than two million square meters at its site in Györ. 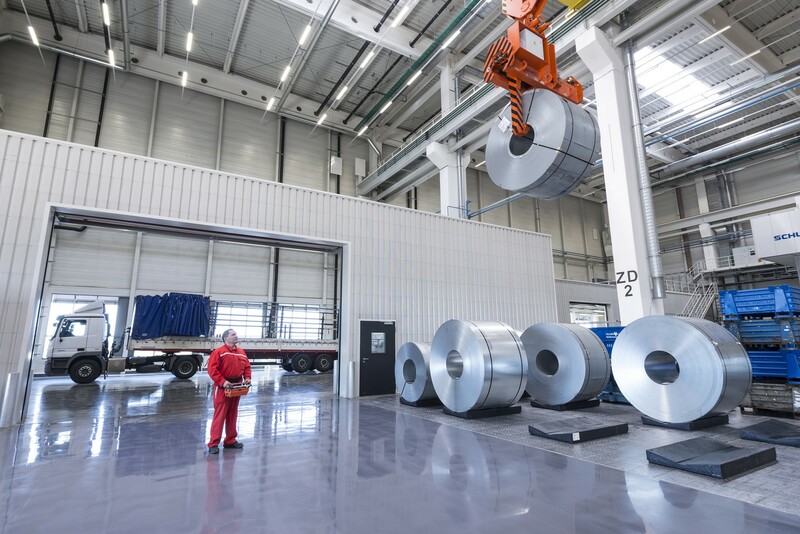 The company invested a total of more than €900 million in infrastructure, buildings and innovative production equipment. Audi Hungaria is celebrating its 20th anniversary this year. 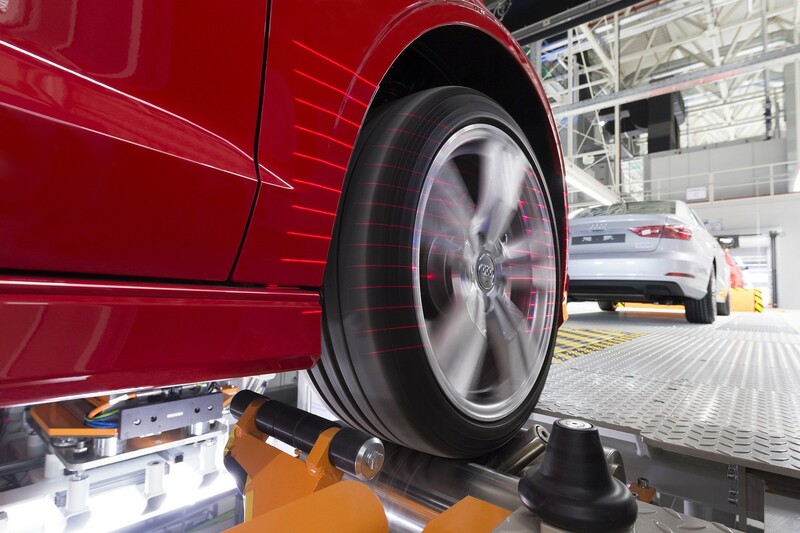 Since it was established in 1993, the company has developed into the world’s biggest engine producer and supplies the brands of the entire Volkswagen Group. The assembly of the Audi TT was added to engine production in 1998. 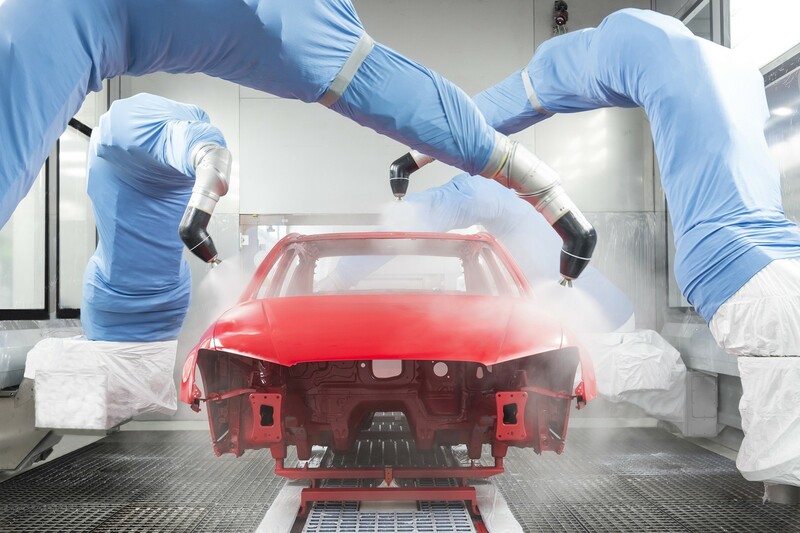 In conjunction with the plant in Ingolstadt, the plant also produces the models Audi TT Coupe and TT Roadster as well as the Audi A3 Cabriolet and the RS 3 Sportback. 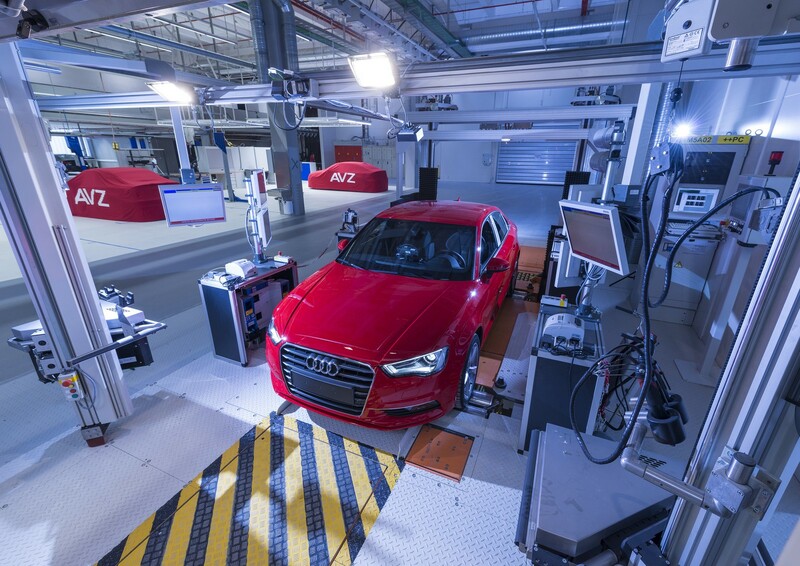 In the new, expanded car plant, the Audi A3 Sedan will also roll off the assembly lines with immediate effect. 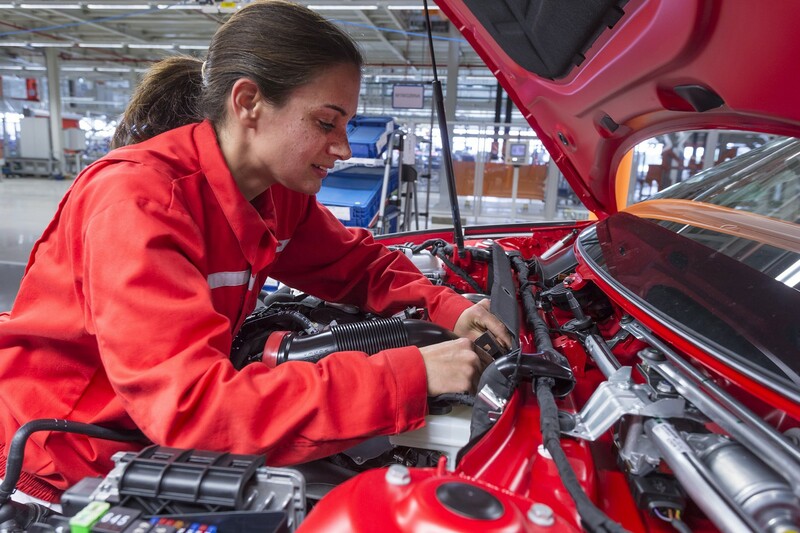 This means that for the first time, an Audi will be completely manufactured in Hungary. 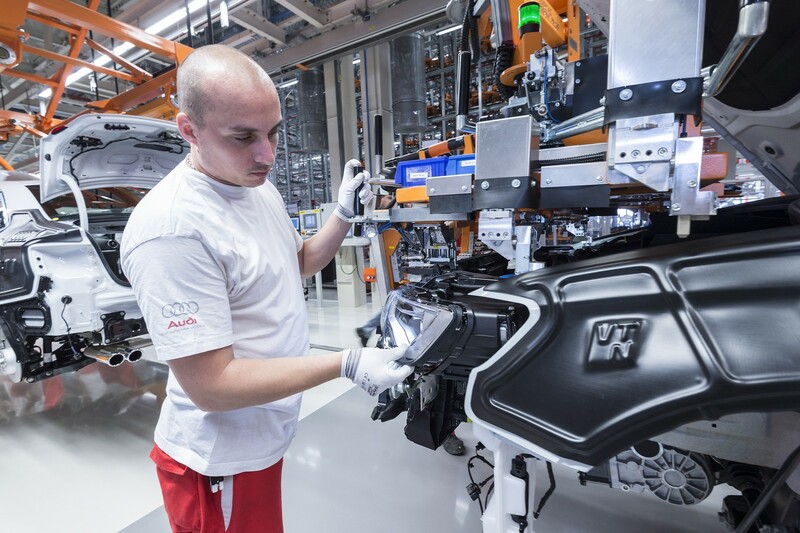 In the future, Audi will produce a total of 125,000 automobiles in Győr each year. With the A3 Sedan, Audi is introducing a new concept in the premium compact class, one of the world’s fastest-growing car segments. Demand is increasing sharply in this segment in major growth markets such as the United States and China. 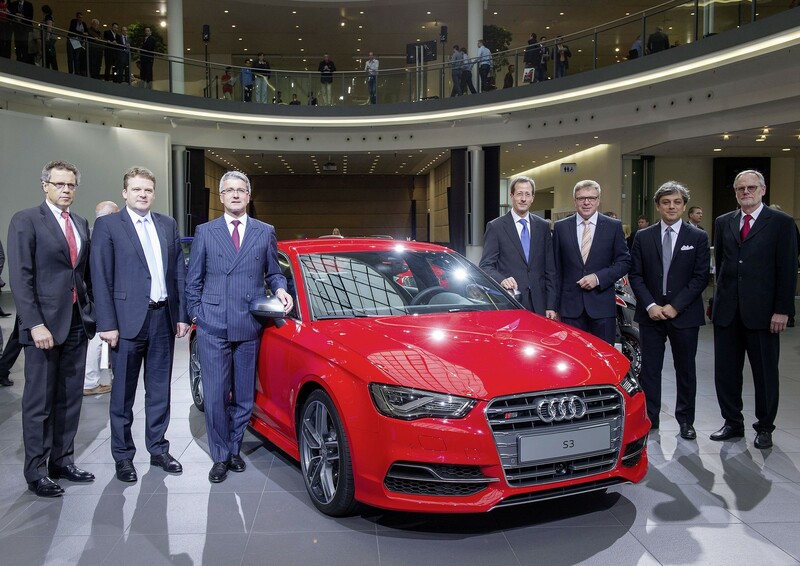 The A3 Sedan will be launched in those countries in the spring of 2014, and will be available from European dealerships as of this autumn. Advance sales began in Germany a few days ago. The dynamic four-door has all the strengths of the A3 model range: low weight thanks to lightweight construction, strong and highly efficient engines, as well as numerous high-end systems for infotainment and driver assistance. 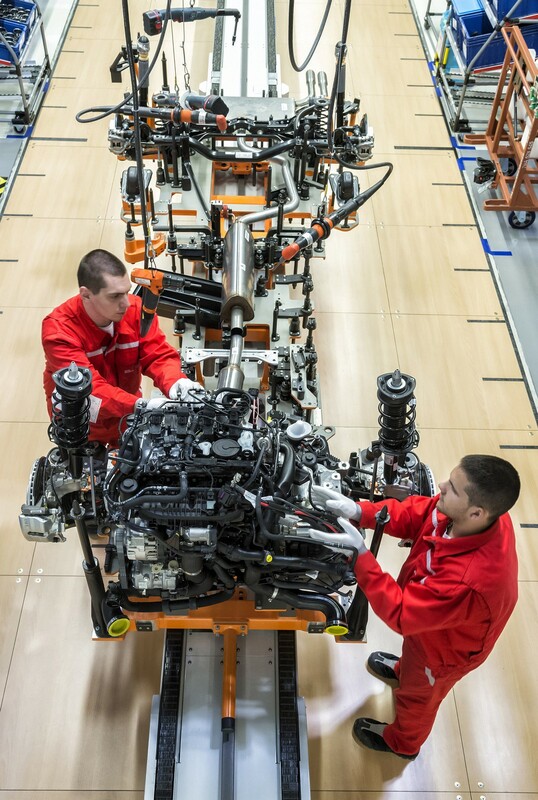 Audi Hungaria has created 2,100 additional jobs as a result of the plant expansion. The new employees are being trained locally at the specially built project and training center. 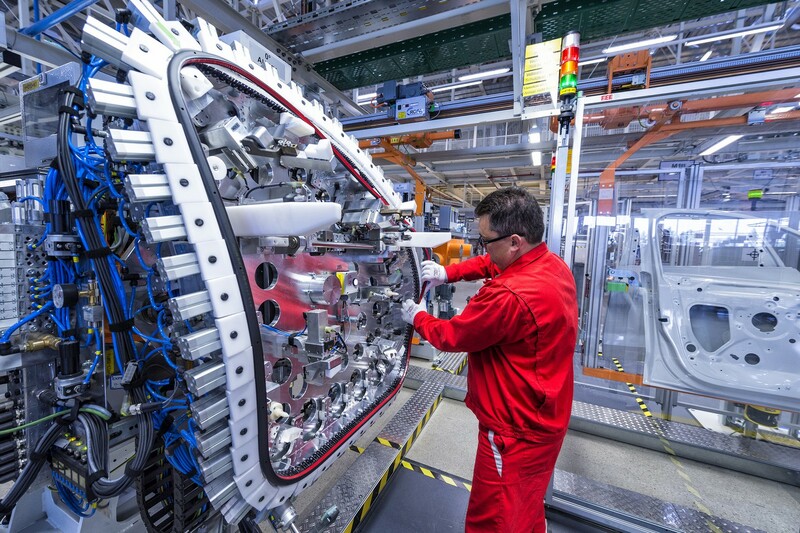 In addition, Audi is preparing skilled personnel for their tasks in Győr at the German plants in Ingolstadt and Neckarsulm and at the international Volkswagen sites. Meanwhile, the workforce in Hungary has grown to more than 9,000 employees. 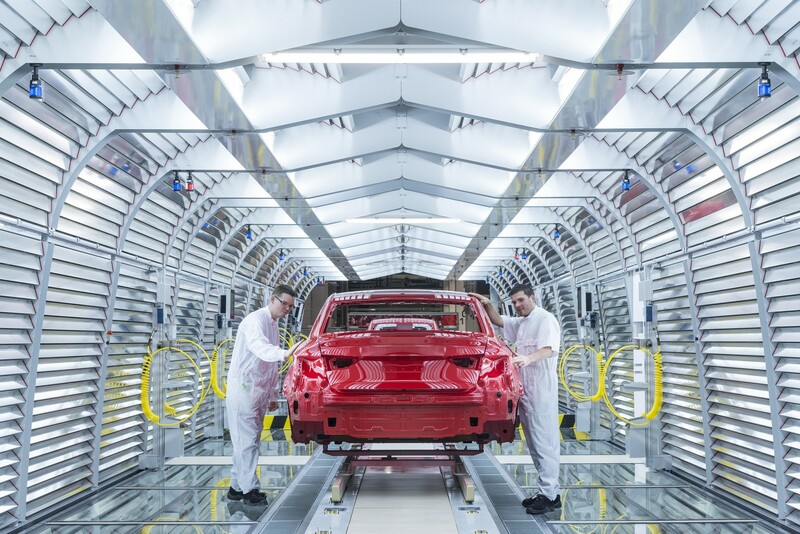 “With Győr as the first Audi plant outside Germany, the Group took an important step to internationalize the brand 20 years ago. 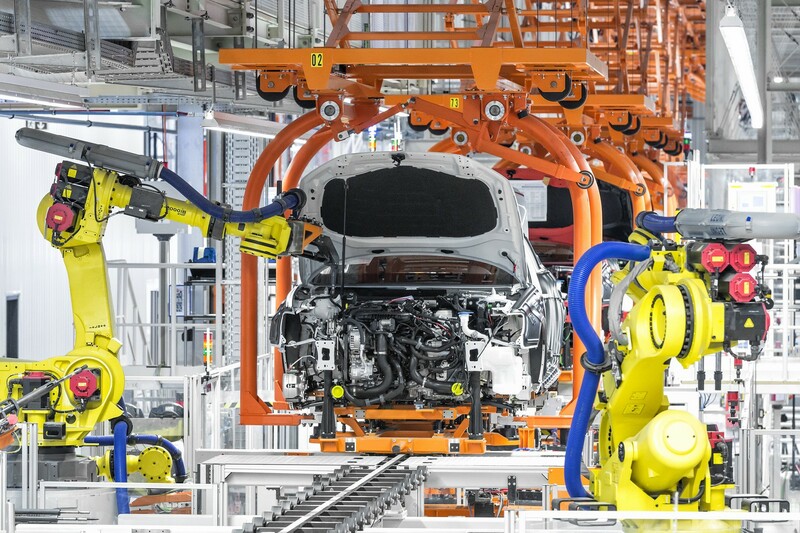 The development of employee numbers at all sites proves that this decision was right, and we will cooperate even more closely with our colleagues of Audi Hungaria in the future,” emphasized the Chairman of Audi’s Group Works Council, Peter Mosch, in his speech. 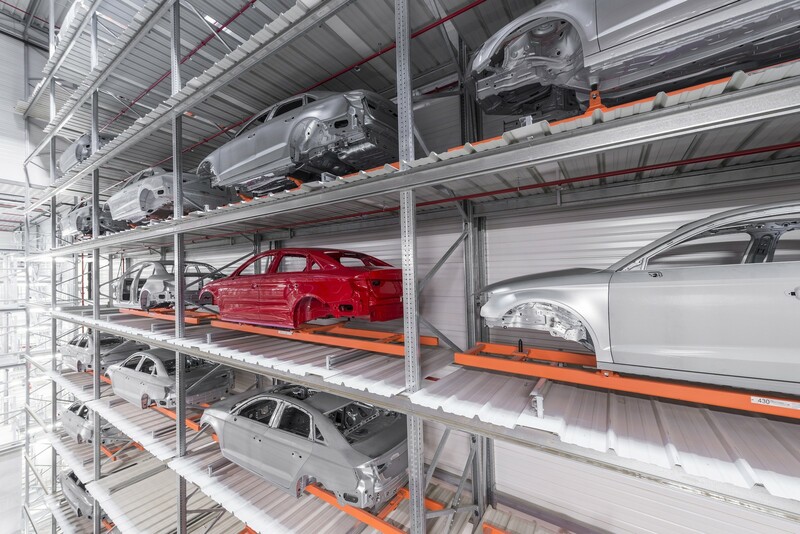 Resource efficiency and protection of the environment are at the focus of the new automobile factory. 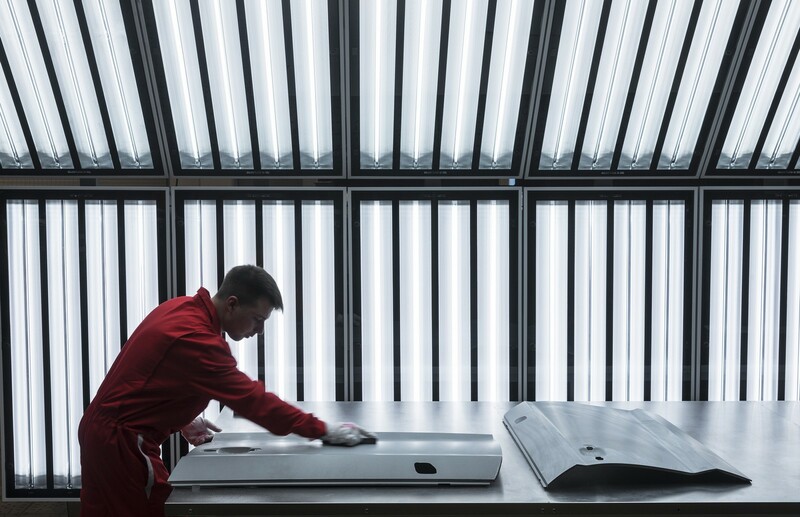 To these ends, Audi is applying future-oriented technologies such as dry separation with air circulation in the paint shop. This reduces the volume of air to be processed, resulting in a reduction in energy requirements of 50 percent compared with conventional wet separation. An additional system for waste-air purification allows solvent emissions to be reduced by more than 70 percent. In addition, the production plant is equipped with efficient and ergonomic machinery. 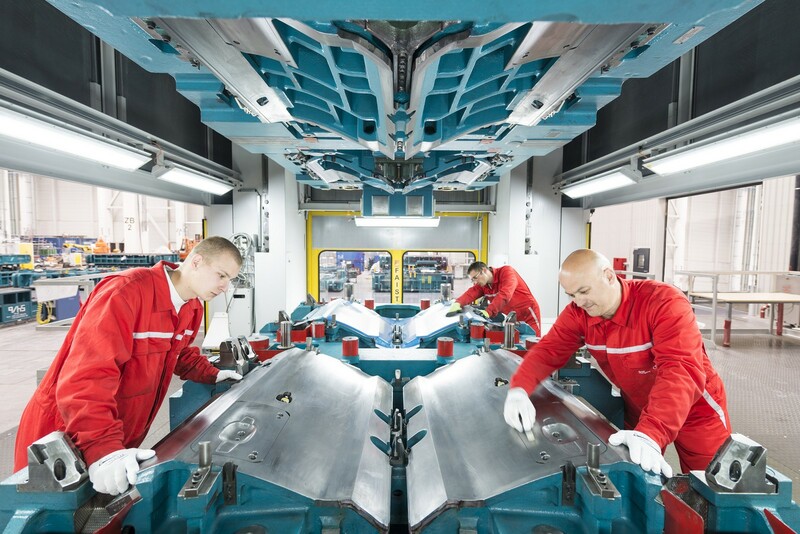 The line in the press shop is an example, where some of the energy used in the production of pressed parts is recovered and helps to conserve resources. 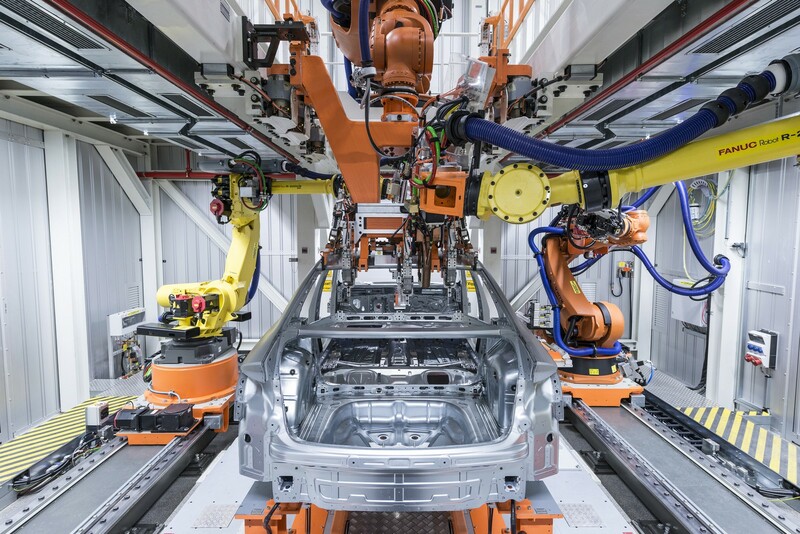 In the assembly area, operation of the machinery has been ergonomically optimized for the employees with the application of height-adjustable conveyor systems. 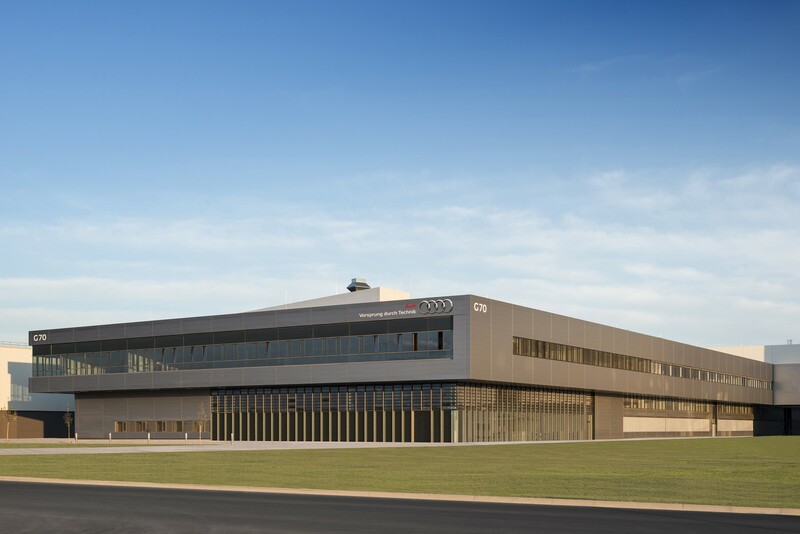 With the new plant, the total floor space of Audi Hungaria has increased to approximately four million square meters. 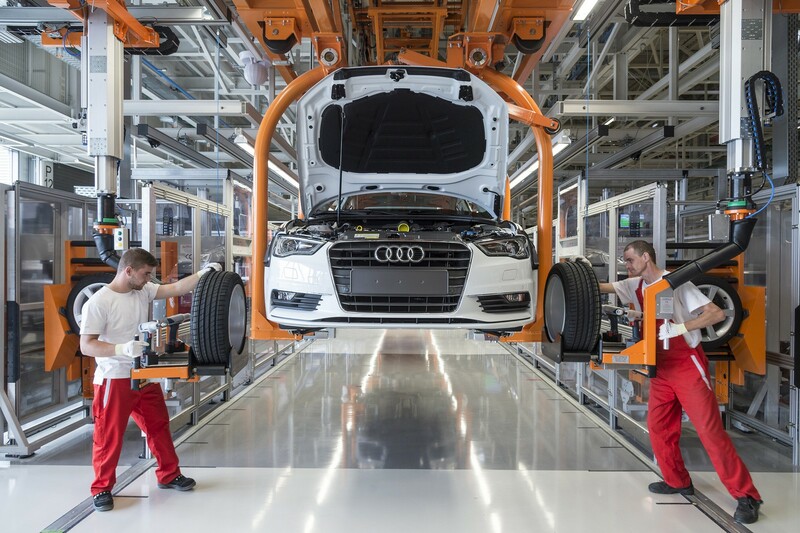 Since the company was founded, Audi has invested a total of €5.7 billion in the site in Győr. 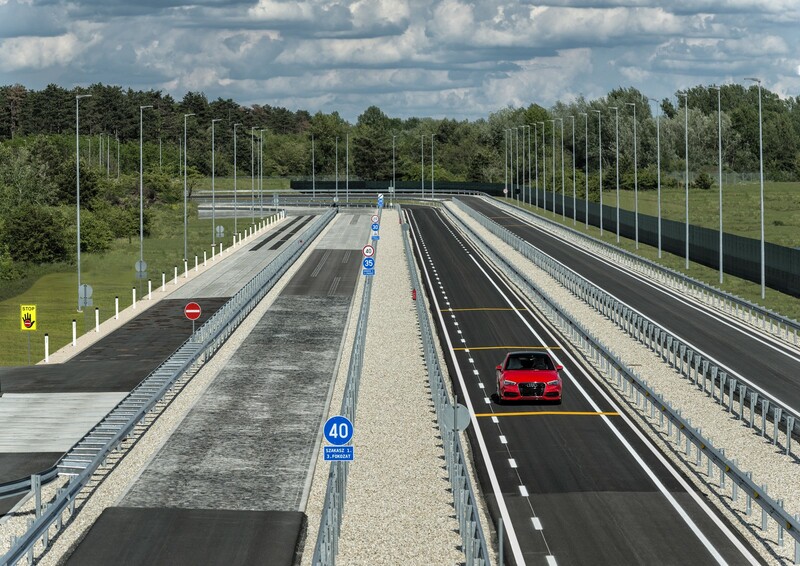 Audi is Hungary’s biggest foreign investor and thus contributes significantly to the development of the Hungarian economy.